Today, Visura offers its members a way to build websites, to manage and share work, news and exclusive opportunities with the media industry. 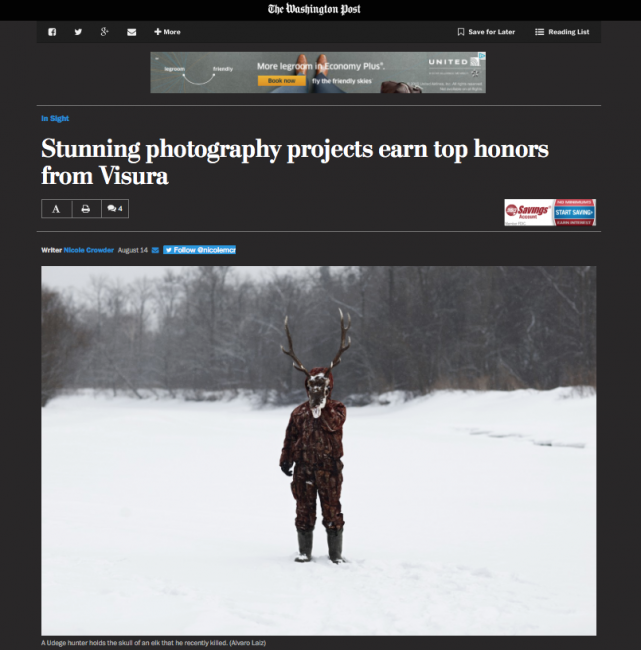 The company also has a career development program with grants, scholarships, exhibitions and more to support visual storytellers. PDNedu caught up with co-founder Adriana Teresa Letorney to learn more. 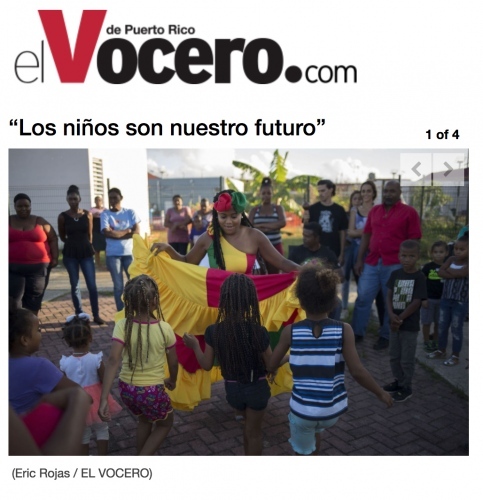 Manteniendo como norte lo importante que es lograr la recuperación de la población de niños afectados por el huracán María, la organización humanitaria, Voices for Puerto Rico inició el año apoyando organizaciones locales cuyo propósito es crear y llevar teatro, música, baile y talleres a comunidades como herramientas de apoyo y sanación para los menores de edad. 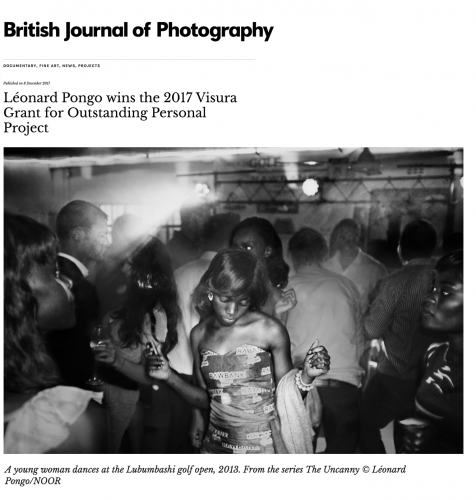 Pongo has won the prize for his ongoing series The Uncanny, which is shot in The Congo. Born in Belgium in 1988 to a Belgian mother and a Congolese father, Pongo started the project as an attempt to reconnect with his Congolese heritage. He first visited the country in 2011, staying with his Congolese family – most of whom he had never met before – and arriving as the DRC held its second ever democratic elections, for both Presidential and Legislative positions. Founded by Adriana Teresa and Graham Letorney, Visura.co is an international networking platform for the photography and media industries' key players to connect, share and network. Formerly known as fotovisura.com, Visura.co provides its members access to resources and marketing tools to to further their work, missions, and careers. At ONWARD we are always searching for helpful resources and communities for emerging and established photographers. We had the opportunity to talk with Adriana Teresa Letorney, co-founder of Visura.co (formerly known as fotovisura). 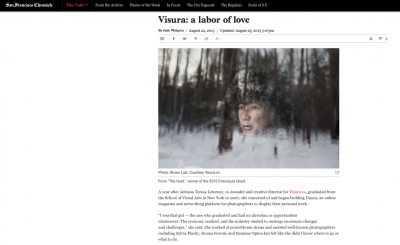 Visura, started by Adriana and Graham Letorney in 2008, provides a professional global online network for photographers, editors, publishers, and industry players to share work and forge connections. Above image by Carolina Arantes. A year after Adriana Teresa Letorney, co-founder and creative director for Visura.co, graduated from the School of Visual Arts in New York in 2007, she conceived of and began building Visura, an online magazine and networking platform for photographers to display their personal work.